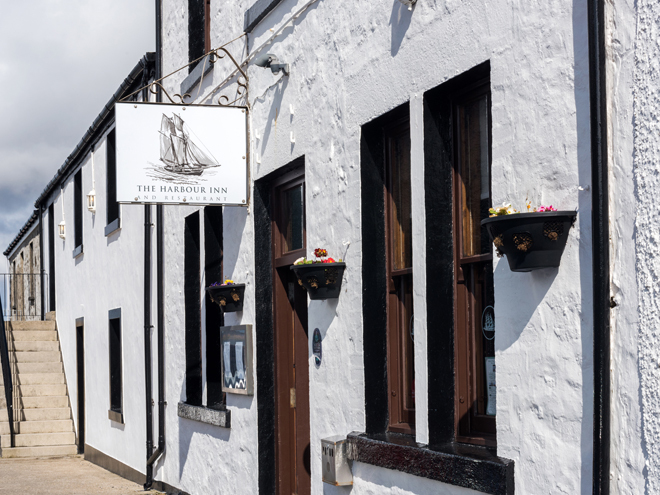 The Harbour Inn and Restaurant sits in the heart of the town of Bowmore, across the road from our distillery. This old and charming whitewashed inn overlooks the stone-built harbour and offers seven spacious en-suite bedrooms and dining with spectacular views out towards the Isle of Jura. The award-winning Harbour Inn Restaurant boasts an incredible à la carte menu that incorporates seasonal dishes using fresh and locally sourced produce of the highest quality. 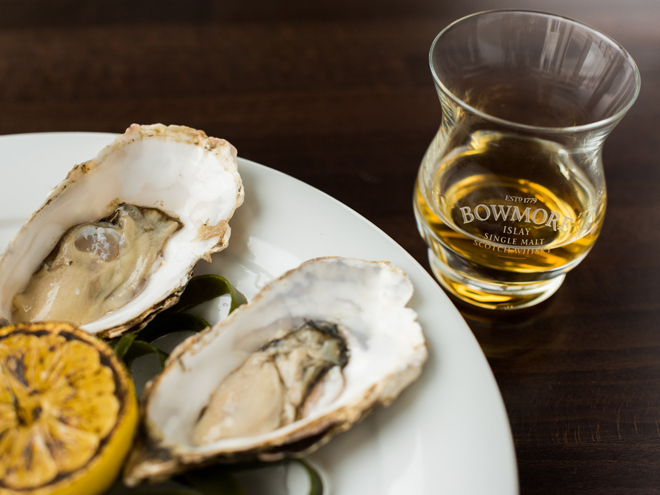 No matter the occasion, we strongly recommend you finish your meal with a dram of Bowmore! All seven spacious bedrooms are decorated in a luxurious and contemporary Scottish style, each with a superior quality en-suite bathroom to make your stay as comfortable as possible. When dining at the Harbour Inn Restaurant, you will be treated to a highly acclaimed à la carte menu using the finest locally sourced produce. 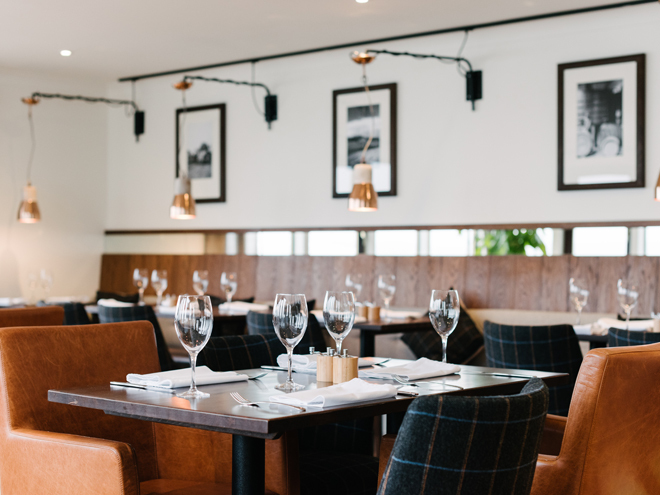 With food served throughout the day and a varied offering that caters to all tastes, you’ll be able to enjoy an exceptional meal with spectacular views overlooking the harbour. Please do get in touch to book and let us know if you have any dietary requirements. As we use seasonal produce, our menus are subject to change. However take a look at our sample menus and and book your table for a delicious meal with a spectacular view. Please note food is served throughout the day, with breakfast also available to non-guests. To book, simply call us on +44 (0)1496 810 330 or click the button below.